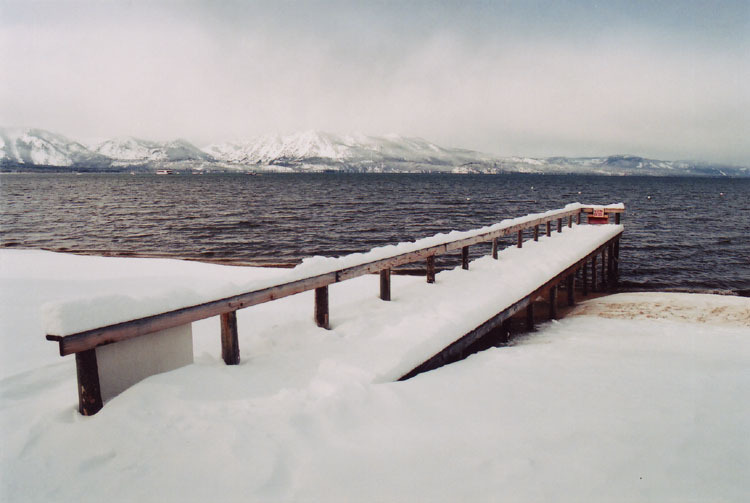 The dock at Tahoe Meadows, about New Years 2006. By early June the water level was almost the whole way up to where the dock and sand (snow in this picture) meet - the top of the pilings on the right side of the dock. It was a particularly heavy snow year.